The tradition of creating homemade skincare has long been part of many cultures around the world, with recipes often handed down the generations. In recent years, homemade skincare has had a revival in line with the growth of the green beauty movement. 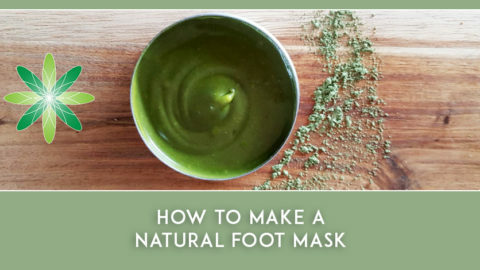 It is now a booming trend and you’ll find homemade skincare DIY-ers keenly sharing their recipes and results on social media. 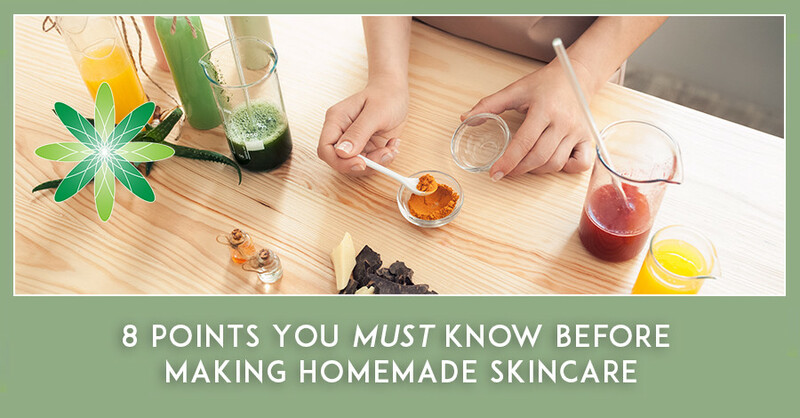 If you enjoy making homemade cosmetics, this post is of particular relevance as we outline the most important steps and things to consider when making your own cosmetics at home. We want you to get the best out of your natural cosmetic ingredients, to avoid not only wasting them but also, importantly, to ensure you are creating safe cosmetics. The first step in developing a homemade skincare product is to find a suitable formula – one which not only nourishes the skin but also remains safe and stable while you’re using it. When choosing a formula, your choice should take into consideration not only the ingredients, but also how they interact with each other. Our mantra here at Formula Botanica is “the ingredients are the formulation”. When making your own skincare, of course you want to choose the finest and most wonderful botanical ingredients. Most organic skincare formulators get very excited about the exquisite ingredients you work with when you follow our award-winning online courses – the beautiful cold-pressed plant oils, the rich creamy exotic butters, the fragrant heady essential oils, the lovely soothing flower waters, the mineral-rich clays, the high performance cosmeceuticals, the anti-ageing botanical extracts. As a final point about your choice of formula, do note that not all formulations can be made at home; sunscreens are an example of a formulation that requires technical as well as considerable cosmetic science expertise to be made safely and in line with various regulations and guidelines such as those stipulated by the EU and FDA. Most cosmetic products have preservatives added to them. The majority of water-containing products, and even some anhydrous products (formulations that don’t contain water or water-loving (hydrophilic) ingredients), should include a preservative system to guard against contamination from yeast, mould and bacteria. When your formula contains water, it provides the ideal conditions for bacterial and fungal growth. Is there water in your formulation? Is it likely that water will be introduced into your homemade skincare product during its use? Then add a preservative system! A preservative system should be broad spectrum, meaning that it should protect your formula from the microbial growth of both gram-negative and gram-positive bacteria, yeast and mould. Natural preservatives are easy to find and we recommend that you always follow manufacturers’ and suppliers’ usage instructions to ensure your preservative is active and working as expected in your product. 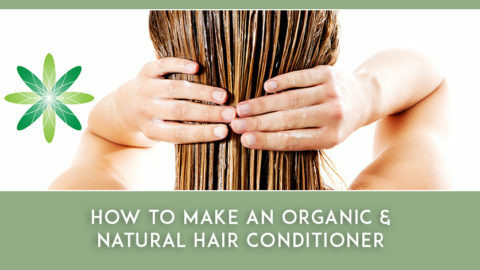 For more on natural preservation, see also our blog post on Everything you wanted to know about Natural Preservatives. You will need stability and microbiological tests to determine a skincare product’s expiration date and if its preservative system is working as it should. 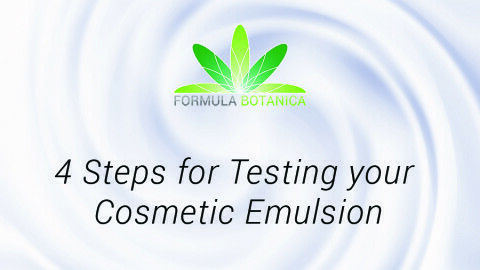 Although testing sounds like a big and daunting step when creating products at home for your own use, some tests can be very simply be undertaken to ensure that your formulation is safe for use. Check out our Certificate in Cosmetic Stability Testing if you want to take your testing skills one step further. Be extra careful with formulations containing water, clay, honey and fruits, as these are most likely to spoil very quickly and require a suitable, often strong natural preservative system to ensure their stability and safety over their desired shelf life. Anhydrous products present a lower risk of developing microbial growth, which is why many organic skincare formulators decide to create waterless formulations for their homemade skincare. Just note that anhydrous formulations are prone to oxidation and rancidity. To slow down this process of degradation, it’s advisable to add an antioxidant such as Vitamin E to your formula. Don’t forget that contamination can happen well before you see the visible signs of microbial growth on your homemade skincare product. If you don’t wish to add a preservative to your formulation, you should create anhydrous products only. 1. Water-containing products are prone to contamination and usually require a preservative system. 2. Anhydrous products are prone to oxidation and usually require an antioxidant. Not only is it great fun to choose gorgeous packaging for your homemade skincare, but the right container can also help keep your formula safe and stable for longer. In fact, it’s important to store your homemade skincare in proper, hygienic containers. Luckily there are lots of great packaging suppliers online who will send you containers that are ready to use for your beautiful botanical formulations. It is easier to contaminate a product that is in an open jar than one dispensed from an air-tight container. When possible, choose pump or spray valves that dispense your formula without the need to open the product container. 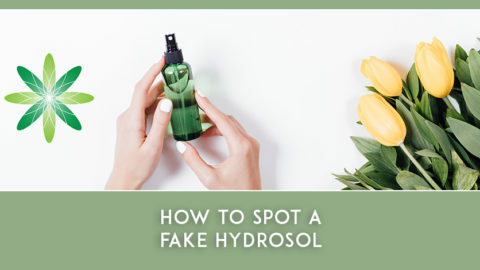 If it isn’t practical to use a pump or spray, perhaps because of the viscosity of the product, then you might consider adding a drop dispenser or a spatula to help get the product out of its packaging – and help reduce the likelihood of introducing contamination. As it’s almost impossible to know the likely expiration date of homemade skincare products, one of the best tips we can give you is to produce small amounts. Not only does this mean your cream, balm or butter will be the very freshest it can be, but you’ll also get to play around with different ingredients regularly to whip up a fresh batch (and as we know, formulation is additive!). When you’re making anhydrous products that are suitably packaged to minimise contamination, you can make bigger volumes, but always remember to add an antioxidant such as Vitamin E or Rosemary CO2 extract to slow down product degradation. With unpreserved, water-based products, we advise you make single-use doses only when you need them. Microbial growth happens fast, especially given the perfect growing conditions found in room temperature. 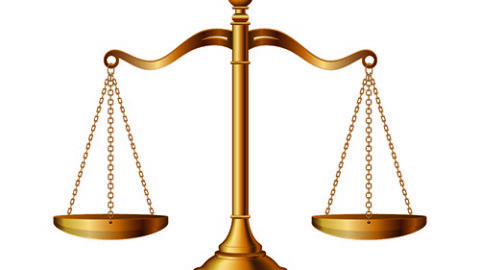 You must measure your ingredients, both liquids and solids, by weight using a digital scale. Measurement in weight is the most accurate method and will allow you to have the right balance of ingredients in your formulation. Finding a good scale is important when you start making homemade skincare. 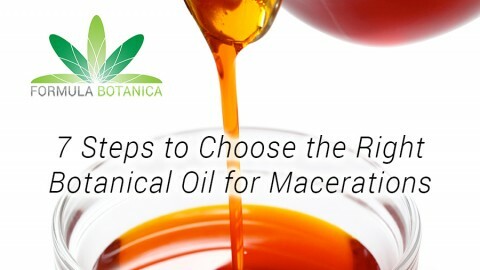 The volume of liquid ingredients varies according to their density and temperature, and it is easy to exceed the recommend concentration when measuring them in drops, especially when adding ingredients, such as essential oils, in very low concentrations. In addition, you should always write down your formula and work with percentages so you can reproduce your batch or scale it to larger amounts. We recommend you to take a look at our article on Why you should NEVER measure Essential Oils in Drops. One of the main reasons why people create homemade cosmetic products is that they want to know what is inside their beauty products, as the results of our survey on understanding the drive for green beauty shows. We should point out that not only the ingredients themselves are important, but also how they are used in formulation. As mentioned above, it is essential to follow the usage recommendations for many cosmetic ingredients, and some of them, if used in wrong amounts, may cause dermal sensitisation. When making your own cosmetics, some ingredients such as certain carrier oils can be used at 100 per cent concentration. However, many other ingredients have strict dosage recommendations. For example, when you’re working with essential oils you should respect dermal limits. The same goes for preservatives – you must follow their recommended usage levels in order to be safe and effective. Essential oils and natural preservatives are among those ingredients that may cause sensitisation in some people and it is imperative therefore that you follow the supplier or manufacturer recommended usage limits in order to make safe cosmetic products. Measuring the pH of a product is a simple step that must not be missed out when you formulate your homemade skincare as it is crucial for the safety of a product. The pH of a product will influence many important characteristics of your formulation. You can tell, for example, by the pH of the product whether or not your chosen preservative will work effectively and safely. pH also impacts, among other aspects, the look and feel, colour and scents of a product. 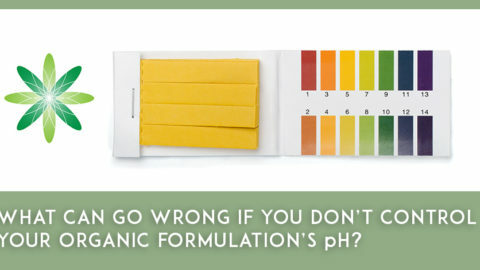 We’ve a post that goes into more detail on what can go wrong if you don’t control your formulation’s pH. You don’t need a high tech pH meter in order to measure the pH of your products; you can use pH strips, which are easily available and affordable, as you start out formulating homemade skincare for personal use. As we saw, the key issue in making your homemade skincare products is that of avoiding contamination during any stage in formulating and also when the product is used. Choosing the right preservative system is a very important step for the success of your homemade products. However, you need to think also about how best to avoid contamination during the production of your skincare. Good Manufacturing Practice, otherwise known as GMP, is basic common sense and involves getting into a routine of cleaning and disinfecting your equipment, working space and containers, washing your hands and using lab gloves. These are just some of the simple guidelines that will add safety and effectiveness to your product formulating and ultimately, the help ensure the stability and safety of your final skincare product. Read our post on how to set up your artisan skincare lab. This post has given you a glimpse into the practices, procedures, ingredients and equipment needed to make DIY cosmetics in a clean, safe, and technically sound manner. With these simple steps, we hope to have inspired you to create beautiful, safe and effective natural DIY cosmetic products. Please let us know your thoughts on making homemade cosmetics and do share your experiences with us in the comments below. Do you want to learn how to make professional organic skincare? 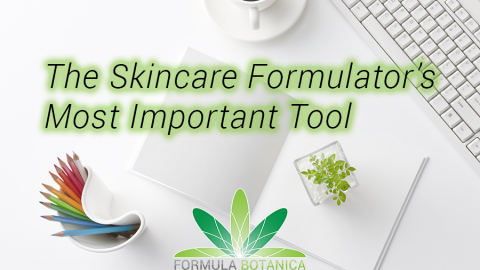 Formula Botanica has taught thousands of formulators through our award-winning online courses. We recommend starting with our Diploma in Organic Skincare Formulation, which is our most popular course and which has helped change lives all over the world through organic skincare. 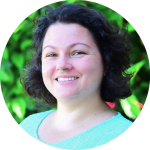 Eliziane is a Pharmacist and Biochemist and works at Formula Botanica as our Technical Manager. She loves bringing together the concepts of science, sustainability and organics. Read more about the Formula Botanica team.